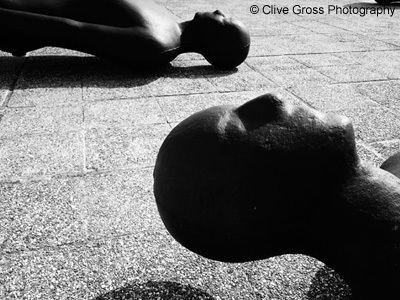 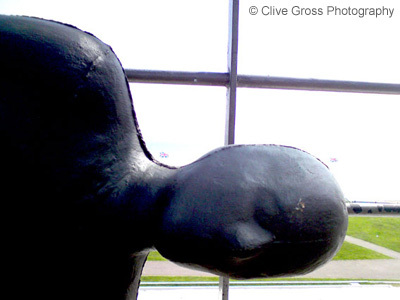 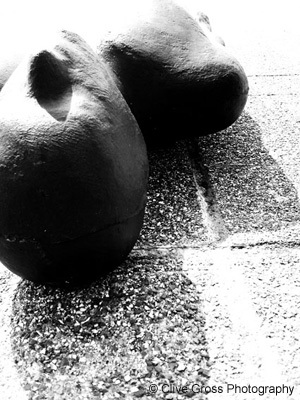 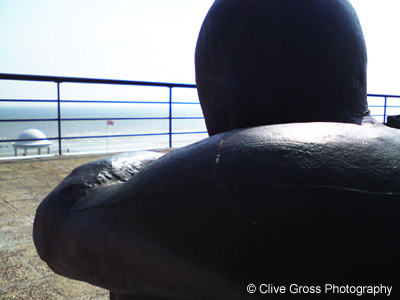 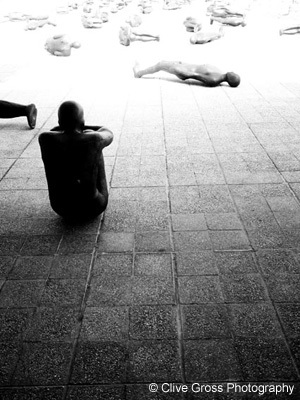 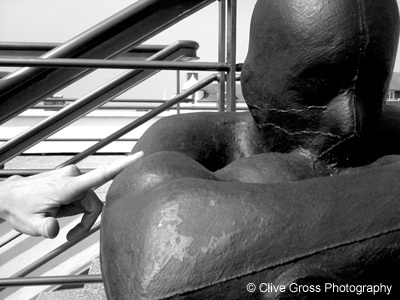 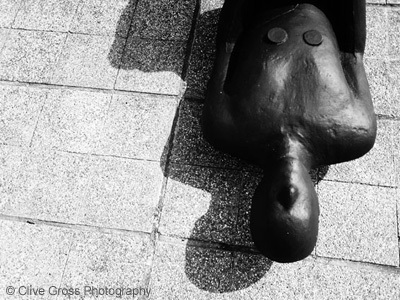 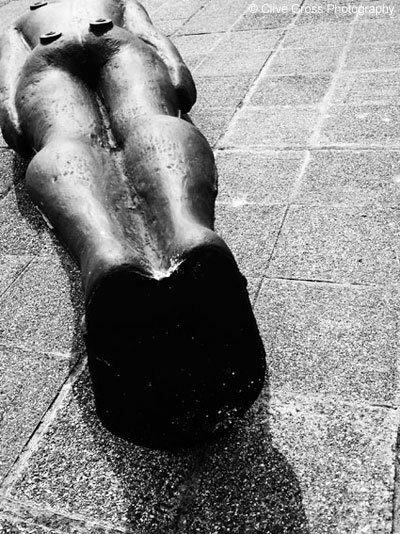 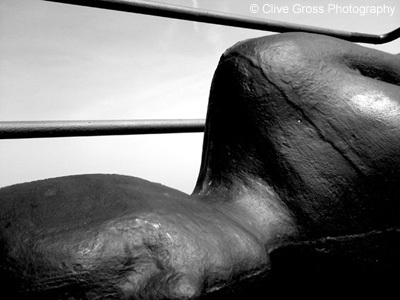 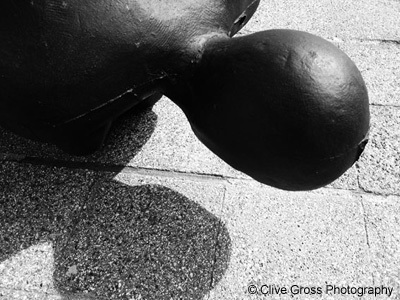 This series of images come from the Critical Mass exhibition by British sculptor Antony Gormley at the De La Warr Pavilion in Bexhill, East Sussex. 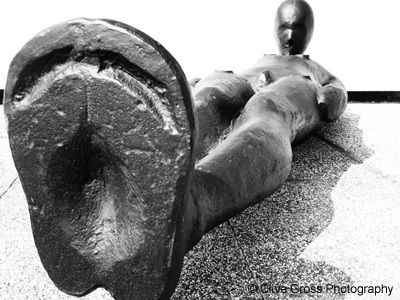 A number of his famous full size bronze body casts were placed on the open flat roof of the modernist art centre, with people encouraged to walk, sit and pose with the pieces. 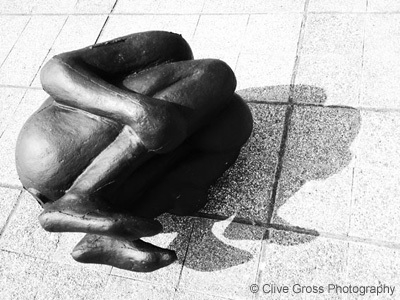 On the warm early summer day these were taken, the result was quite eerie, with strong shadows thrown on the gravel tiled surface and the contrast of the slightly mourneful figures contrasting with the bright sunshine.